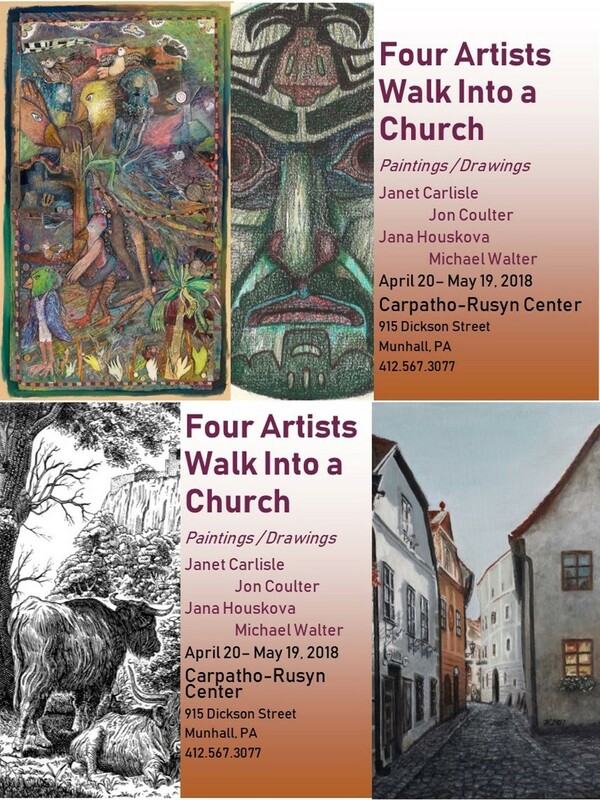 On April 20th, 2018 at 7:00 the CRC is pleased to present, in an inaugural art exhibition, the work of four local artists who have diverse styles and use of artistic media. Their subjects are varied but draw upon the vitality of life and exhibit the beauty of rendering the visible and the imaginative in drawn and painted forms. Mr. Walter’s drawings are inspired by geology, time, and current events. An emphasis on masks and totem poles has been a more recent development in his images that constitute a personal natural history museum. Texture and varied media are important aesthetic concerns of his, the chemistry of art being alchemist in the image making processes, and parallel to his idea of transformation of the individual. He studied at The Pennsylvania Academy of Fine Arts, in Italy and throughout Pittsburgh. His work is in private collections in Pennsylvania, New York, Illinois, and California. Ms. Carlisle’s collage work is a trans-formative process from which she cuts, tears, pastes, and sews painted images and textures, often extracted from her own drawings, paintings and photographs into a unified whole. As she composes and builds these fragments into a new beginning, she is reminded that what is broken in life is often where people find a place to start again. Ms. Houskova creates realistic art, specializing in drawing and painting portraiture of people and animals and old historical landmarks and romantic old towns and streets. She does it with a delicate sense of expressing the magical moment of the scene. Her media are: colored pencils, graphite, oil and watercolors. Choosing themes that evoke positive emotions and bring smiles and peace to people's minds is the goal of her imagery. Trained at the Johns Hopkins School of Medicine, Mr. Coulter has illustrated over thirty books of surgery and hundreds of journal articles. He belongs to the American Realist School and is truly excited when he may depict the outsides of his subjects. 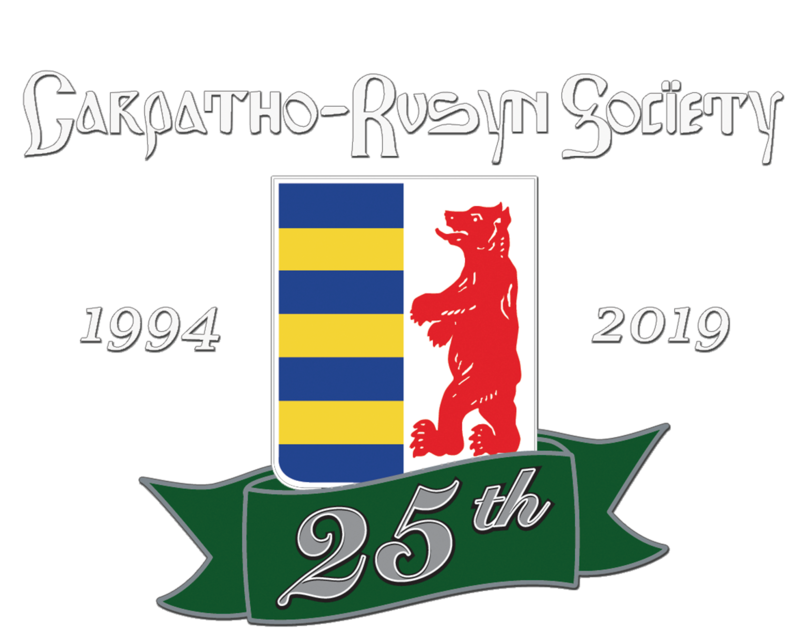 The hours for the Carpatho-Rusyn National Cultural Center are Sundays and Saturdays: 11:00-7:00 and Mondays through Fridays: 11:00-7:00. The exhibit is on view to the public April 20th- May 19th, 2018. Admission is free. A preview for members of the press will occur on Wednesday, April 11th, 2018 at 6:30-7:30 PM. The schedule of the artists’ talks and additional programming announcements will be released later.